It would be quite easy to walk by this well. At first glance you would mistake it for a rockery in someone's garden. 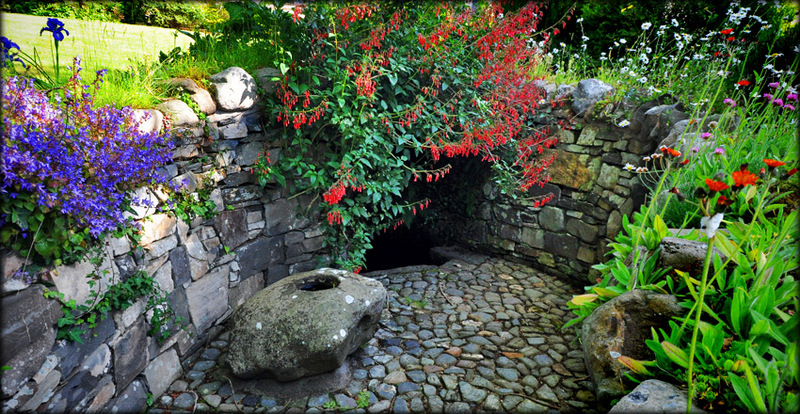 The well is in fact cut away into a private garden. It is certainly one of the most well kept ones I have seen. 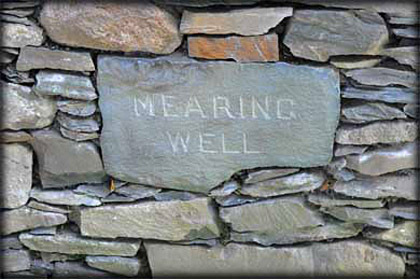 It is known locally as both Mearing well and Mearne Well and is also associated with St Patrick and bears the name St Patrick's Well. It is said that St Patrick built a barn here in Saul (from Irish: Sabhall phádraig meaning Patrick's barn) which he used to hold services. The well is less than 250 metres from the present day St Patrick's Church and is said to be the place where he baptised his first converts to Christianity. 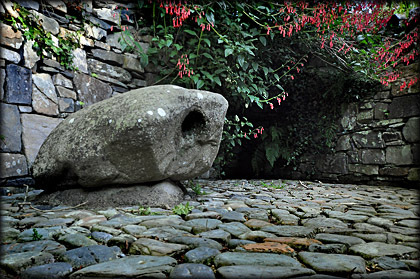 Along the cobbled path that leads to the well are a number of bullaun stones. The first bullaun appeared to me to be a natural feature rather than man made. But the stone nearest the well featured two distinct bullauns. Mear is an obsolete form of the word mere meaning either "to bound" or "small pool or pond". So mearing could be referring to a boundary or the water. Even though the entrance to the site is by the roadside you still get the feeling you are trespassing in someone's garden. Situated: From St Patrick's Church in Saul head down the hill and turn left onto Mearne Road. 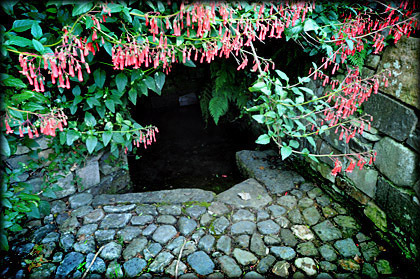 The well is in the garden of the first house on your left. Discovery Map 29:J 5062 4647. Last visit July 2013.